Started in 2010, the Connecticut Law Enforcement Officers Memorial Run has worked to create a fun and healthy event to encourage fitness, spread awareness for the cause and honor those officers who have made the ultimate sacrifice. It is with great sadness that in the 8 years this race has been run we have lost over 700 brave law enforcement officers nationwide. 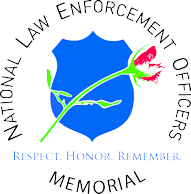 This organization operates as a non-profit 501(c)(3) and is proud to make its contribution to the memory of these heroes by donating 100% of the proceeds directly to the National Law Enforcement Officers Memorial Fund in Washington D.C. These donations help maintain the National Law Enforcement Officers Memorial, fund continued research and education to keep officers safe, helps build the first-ever National Law Enforcement Museum, and ensure that the courage and dedication of our fallen officers is never forgotten. With the generous support of our fantastic participants, sponsors, and partner organizations, the Connecticut Law Enforcement Officers Memorial Run has raised over $80,000 since its creation. Additionally, the race itself has grown tremendously from about 180 participants in its first year to nearly 600 in its eighth year. With the deepest sincerity, we would like to thank everyone who has participated or offered their assistance to make this race a success. We look forward to race day every year and, with your help, we hope to continue making it make it bigger and better than ever.